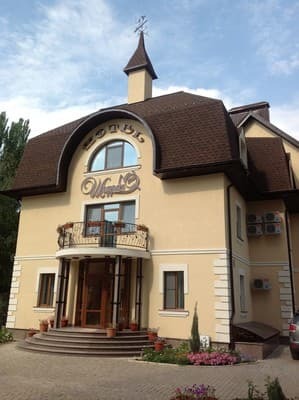 "Shafran" Hotel is located near the center of Donetsk. It offers 12 comfortable and originally designed rooms of different categories, which are equipped with air conditioning, satellite TV, telephone, refrigerator, free Wi-Fi, and a wide range of services. 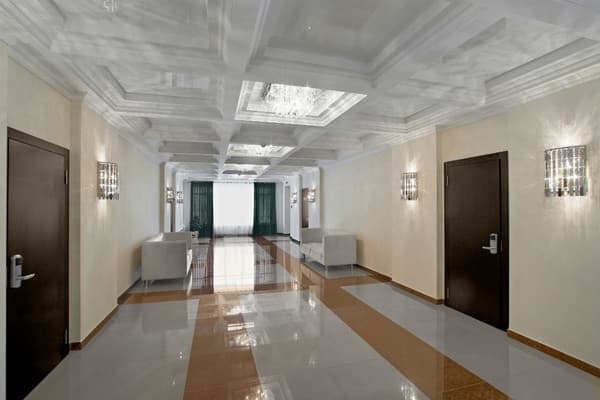 Modern, high class hotel complex offers European-level service. The restaurant is ideal for small companies and will please guests with classical rigor interiors and exquisite menu. 24/7 bar offers free Wi-Fi. You can relax in versatile health center (sauna, salt room, massage, spa treatments) after a busy day. Hotel features car rental service, free parking, the organization of excursion tours around the city. Welcoming staff, high standards of service and unique design of interiors will create excellent conditions for work and rest. Distance to the train station is 8.8 km, to the bus station - 2.7 km. 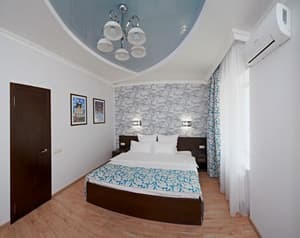 Description of the room: The cozy, originally decorated room is equipped with everything necessary for a comfortable stay. The room has a double bed, a wardrobe. 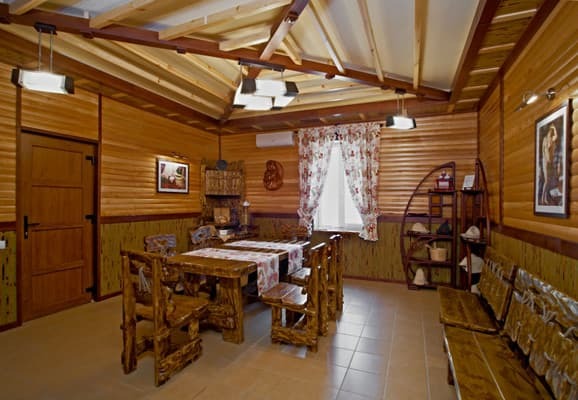 Description of the room: Cozy room, the interior of which is distinguished by comfort and professional design. The room has a double bed, a sofa, a wardrobe. 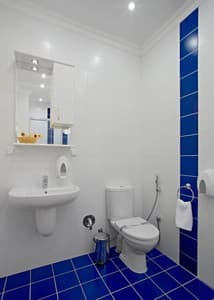 Hotel is located in the heart of the city, close to main infrastructure. Distance from the airport is 8 km, from the train station - 5 km, from the central bus station - 5 km. To reach the hotel from the bus station "Zapadniy" you can take bus № 73 or shuttle bus № 83 to the stop "Universam Ukraina ". To reach the hotel from the train station you can take shuttle bus №37 to the stop "Universam Ukraina", then transfer to shuttle bus №23, №11- Б or №100 to the stop "Vishnevskogo Hospital". You can arrange a meeting at the train station or airport.